According to Realtor.org: 10 Best States for Kids to Live! Which states rank the highest as best places for children to live? The 2011 Kids Count Data Book by The Annie E. Casey Foundation recently ranked 50 U.S. states based on social, health, and economic factors affecting children. Each state was given a score based on such factors as infant mortality rates, child and teen death rate, percentage of children in school, and the number of children below the poverty line and in single-parent families. See what other states made it on the top — and bottom — of the list. Ranking the worst of the 50 states? Mississippi. I found this great blog post from Dan Waterstone and feel anyone looking to buy a home should be aware of its implications. Welcome to my (Dan Waterstone's) blog. I'm glad you're here. Get notified by email when I write something new on The Mortgage Reports. Click here for free email alerts or subscribe to the RSS feed in your browser. The cost of long-term home ownership is now cheap, cheap, cheap. It's a great time to buy a home. It's an even better time to refinance. This isn't cheerleading. This is fact. As a homeowner, your "total cost of homeownership" is tied to your mortgage. The higher your mortgage rate, the more interest you pay over time. And regardless of your mortgage interest tax-deductibility, over 30 years, mortgage interest accrues into something fierce . 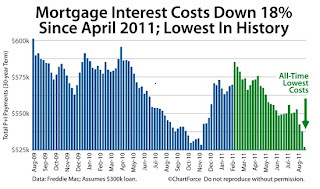 Lately, though, with mortgage rates down, those long-term interest costs have plunged. Today's mortgagors will pay 18% less mortgage interest as compared to those from April. 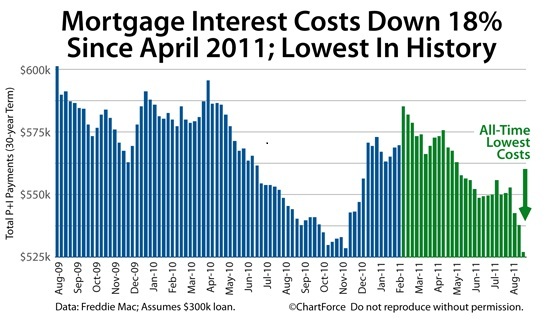 The interest cost savings are even larger as compared to loans from 2009 and 2010. This is why everyone with a mortgage should call a lender regarding refinance. There's a huge potential for savings. And you can't know until you ask. Click here to get a low interest-cost mortgage quote. I've been writing new loans for a long time and, whenever mortgage rates fall, homeowners tell me the same thing. "I love these low rates", they say, "but I don't want to 'start over' on my loan. I have 27 years left. Why would I go back to 30?" It's a common refrain from homeowners, and my answer is always the same. It's all about the math. I tell my clients, "At lower interest rates, you can actually accelerate your payoff. You'll own your home faster. It's the reverse of 'starting over'." And then I show them the math. By making your same mortgage payment as always, but on a mortgage with a lower mortgage rate, you can shorten your loan term by a huge number of years. It will be as if your mortgage payment never changed -- you'll just own your home much, much sooner. Want to see how the math would work for you? Click here to ask me for a rate quote. I'll send real numbers for you to review. The last time mortgage rates fell this far, they stayed low for just 4 days. This time, they may stay low for a longer period of time, but why risk it? What are you waiting for? Rates are lower than they've ever been in history. If you own a home -- no matter when you bought it -- give a call to your lender. You could save a lot of interest at today's mortgage rates. Even if you don't think you'll qualify, give a call. It's worth 5 minutes of your time. Or, click here to get an online rate quote. I love to work with my readers. Thank you Dan. This is very helpful information for first time buyers. Which Home Renovations are Considered the Best when planning to sell your home? The most challenging dilemma you may be facing when you begin to think about the possibility of selling your home is the thought of having to put more money into it, especially in a time when the national housing market is acting a bit temperamental. During the time you own your home, many home renovations can offer a win-win situation, providing enjoyment to you, as the owner, and later making your home more marketable and/or worth more when you go to sell it. At the same time, other renovations, while providing you as the homeowner some benefit, can set you back thousands and leave you with a home that isn’t as marketable as you would have hoped or a home you want to price above what most buyers would be looking to pay for your general type of home. So, here are some of my suggested Home Renovations, for the Maplewood Marketplace, keeping in mind that the present buyer in today’s market appears to be looking for so many things—granite counters, stainless appliances, renovated baths, finished basements, etc. You have all heard of the expression, “judging a book by its cover,” well I suggest we start in the order in which most buyers would see your home and that is the exterior of your home and its landscaping. During the snow free months of the year, you want to make sure your lawn is well groomed and green and that if you have bushes and trees that add color at different times of the year. If you don’t have that green a thumb, then I suggest you invest in some planters (you can go to Home Goods or Marshall’s/TJ Maxx to find some on the cheap) that you plant seasonally appropriate flowers that you can find at local plant stands and markets. Unfortunately, we wish that the exterior of your home would be as inexpensive to keep inviting as is your landscaping; However, if you have peeling paint, I strongly recommend you scrape and paint, even if you only do touch ups, as you can understand that your are setting yourself up for disappointment as a buyer won’t necessarily have good feeling entering a home when the exterior appears to be lacking in maintenance. From there, we need to go to the New Nerve Center of your home--The Kitchen. Going back about 15 years, since “From Ourhouse to Bauhaus” was published; the kitchen has overtaken the living room or family room when it comes to the most important room in the house. Ideally, today’s buyers prefer new Kitchens with granite countertops, tile or wood floors, stainless and or modern appliances, quality feeling and highly functional cabinetry and an island or layout that allows a pass through or dining within the expanded kitchen/dining area. Cabinets: consider having them painted with quality paint so that wear and tear is now a thing of the past and there is a fresh clean smell and look to the kitchen. Appliances: Some models can be re-skinned like our (or our kids) iPods, cell phones and laptops. You can also consider going to S+D (scratch and dent) stores and, depending on how your appliances are placed in your kitchen, someone else’s dent might be hidden from sight. Floors: check under that linoleum and see if you have hardwood under it for a relatively inexpensive scrape, sand and refinish job; or, you may simply consider a nice inexpensive tile or wood laminate flooring to put down. Backsplashes: It’s amazing how sometimes a little effort can go a long way, but I recommend a re-facing of your backsplash, using tile or another material, as it can do wonders to freshen up the appearance of your kitchen without having to empty the bank account. Lastly, if you don’t have an eat-in kitchen, think about the idea of installing a small counter with 2 bar stools to at least allow the on-the-go commuter a quick and easy area to down their java and bagel before heading to the train station. Next we need to hit the Bathroom(s). What’s the first thing we do when we move into our new homes—change out the toilet seats. Well, the irony is that this investment costs about $15.00 and not only makes an older toilet appear much newer, but can surprisingly rid your bathroom of odors you might have gotten used to. At the same time, if you have a little bit of money, replacing the vanity ($150.00 to $750.00) and the toilet (once again $150.00 to $750.00), as well as the medicine cabinet, go a long way to updating the appearance of your bathroom. When you have the bit more in the bank account to “play” with, adding a nice tile job on the floors and around the tub/shower is like putting on that favorite outfit of yours that makes you feel like a million dollars. For the appearance of a more luxury-like home, consider adding skylights (anywhere you could easily add them as long as they don’t leak!) and a Jacuzzi tub, as they could provide a spa-like appearance. The best news is, according to Harvard's Joint Center for Housing Studies, that a mid-range bath remodeling (which costs an average of $10,499), will add $10,727 to your home's value. But, if you don’t have the money, you should at least consider either re-grouting the tiles in your bathroom or even buying that grout paint that can cosmetically change the look of a dated bathroom and for those of you with chipped tubs, they also make porcelain touch up paint which I highly recommend. For those of you that have a nice Bathroom but have a bedroom-to-bathroom ratio over 3:1, you might want to consider adding a powder room if one can be fit in and is close to nearby water and waste lines or, even better, a 2nd full bath that can be built right off the one you do have so you can make one for the exclusive use of a master bedroom. An extra bathroom will always add extra appeal to buyers with families. If you're not sure you have the space, consult with a contractor. From my Otteau Valuation Group Advanced CMA training, a full bath can add as much as $11,000-$18,000 in perceived value of your home and a half bath $7,000-$11,000 in perceived value. Lastly, there is that place, down under, that is perhaps one of the most interesting of choices for investing in your home. While your Basement has traditionally served as the storage warehouse and laundry center for most of us living in our homes, I find that today’s buyer has a bit of a different outlook. They appear to look toward the basement as having the basic laundry facilities, but also the bonus of either being a recreation or media room with a big flat screen TV (which you take with you), or a playroom for the kids or lastly, a home office. In all of these cases, carpeting that is clean and dry really does appear to add value in the mind of today’s buyers. If you renovated your basement several years ago, then I would recommend a fresh coat of paint, and either cleaning or replacing your carpets if they are dirty and stained. Don’t, and I repeat DON’T go overboard with renovating your basement as an appraisal won’t usually count this space as added value because the underground space isn’t normally counted as “livable space” unless you have a separate walk-out exit and plenty of windows. Before you begin any major projects, it's important to assess your home's value and the neighborhood it's in. It is possible, through a lot of renovations and money, to boost your home up so high that you're no longer in the market. Please take my advice and don’t do any work that makes your house worth a $100,000 more than any other home in your neighborhood. Be sure that your home renovations will add to the value of your home, and, if possible try to enjoy them for your own use while being aware that getting too extravagant will probably not bring you the return you're seeking. If you aren’t sure, please feel free to contact me or another realtor to give you an idea of how much your home is worth and how your neighborhood is trending before you spend a dime. Want to find out how much your home is worth? I am a trained Otteau Valuation Group Advanced CMA--Comparable Market Analysis—service provider who can give you an improved quality valuation of your home. Buying a home can be a proven and safe investment, over time! Home values in June fell 0.08% relative to May levels and fell 6.2% relative to June 2010 levels (see Figures 1 and 2). This is the lowest depreciation rate nationally since the start of the housing recession in June 2006. Let’s start with the positive interpretation aspects of this development. First, we’re seeing this improving performance (decreasing depreciation) in a period devoid of tax credits. This casts the data in a fundamentally different light than the period between October 2008 and July 2009 when we last saw such a strong improvement in depreciation rates. This improvement was, of course, largely courtesy of both federal home buyer tax credits and large-scale foreclosure moratoriums. So, in that context, we should feel pretty good about the current numbers. 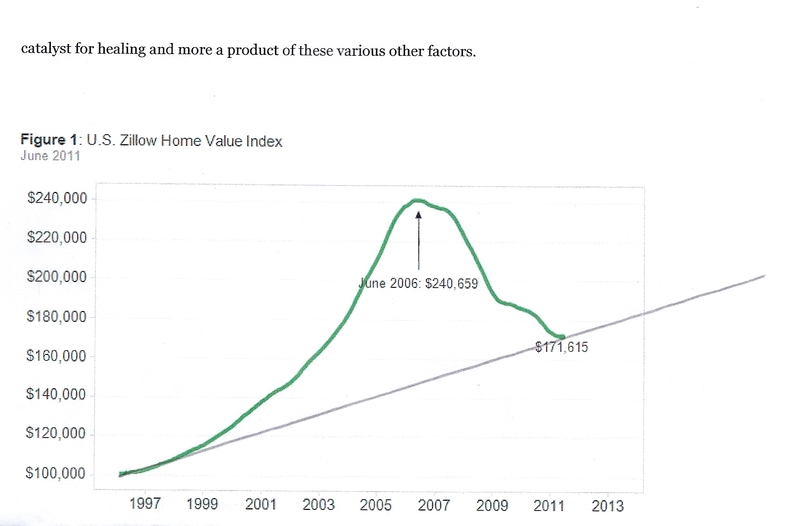 But, as a Economic trained Realtor, what i think is most telling about this graph is the direction that it depicts for us on Housing Valuation Trend: in the past 14 years, The Housing Value Index has climbed 71.6%; while certainly we can lose sight of what the index depicts in June 2006--a 140% increase--we are still left with a very healthy rate of return. In fact, this index climb equates to an average annual increase of just over 5%. 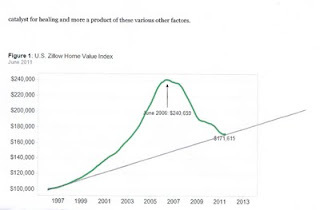 So, for any Buyers out there that are nervous about buying a home, i suggest you rest easier knowing that even after erasing the tremendous gains from 2000-2006, you would still be in a healthy place if you owned a home from 1997. Ironically, this reminds me of when i was selling my Coop in Park Slope Brooklyn in the early 90's, after seeing values almost triple in our building from 1984-1989, we ended up having to sell for a much less advantageous price that netted us only double what we paid (i say this not to mock the success this investment was, but to put into context how so many people feel about using their homes as investments) rather than triple the price paid if we could have sold it just a year or two earlier. If you are looking for properties to call home and use as your single largest investment, i cover Hoboken, Jersey City,as well as Essex and Union Counties in NJ. Jersey Tomatoes and their Jersey Gardens! A new community garden is scheduled to open this year behind Gordon Hall in Dexter. The United Way of Northern New Jersey is asking any families with vegetable gardens to donate extra fresh vegetables to local food pantries and soup kitchens. For many financially limited families and homeless people, coming by healthy, fresh vegetables can be a rare event. Soup kitchens like Toni’s Kitchen serve about 70-80 homeless people each day. Toni’s Kitchen uses all donated vegetables to prepare fresh soups and salads for the homeless. Director of outreach, Anne Mernim, describes any donated vegetables as “treasure to us” because they are not commonly served at soup kitchens. “Any vegetables, any quantities, are greatly appreciated”, she said. At food pantries, homegrown vegetables are distributed to local families without the means to purchase fresh vegetables. Not sure what your options are if you are behind on your mortgage or unable to pay? The Home Affordable Refinance Program (HARP) has been extended through June 30, 2012. If you're underwater on your conforming, conventional mortgage, you MAY be eligible to refinance your home without paying down principal or having to pay mortgage insurance. More people are eligible than you might otherwise think. Get a HARP refi quote now. HARP goes by several names. I use the blanket name HARP because that's what the government calls it. The program is also known as the Making Home Affordable plan, the Obama Refi plan, and Relief Refinance. If you don't meet these two criteria, you are HARP-ineligible. Both Fannie Mae and Freddie Mac have posted "lookup" forms on their respective websites. Check Fannie Mae's first because Fannie Mae's market share is larger. If no match is found, then check Freddie Mac. If my mortgage is held by Fannie Mae or Freddie Mac, does that mean I'm instantly eligible for the Home Affordable Refinance Program? Find a recent mortgage statement and write "Fannie Mae" or "Freddie Mac" on it -- whichever group backs your home loan. You'll need this information because the Home Affordable Refinance Program is slightly different which each entity. Next, you'll want contact a loan officer about starting your HARP refi. If neither Fannie nor Freddie has record of your mortgage, your loan is held somewhere else and is, therefore, HARP-ineligible. You may still be eligible for a "regular" refinance to lower rates, however. Use this form to get a rate quote or use a competing bid service like LendingTree Mortgage Loans. First, your home loan must be current. You may not be delinquent or behind in your payments. Second, you can't be more than 25% underwater on your home. Officially, this is known as having a 125% loan-to-value. Third, your mortgage must have been originated and sold to Fannie or Freddie prior to June 1, 2009. How do I know if my mortgage exceeds the 125% loan-to-value? Take your the balance of your first mortgage and divide it by the value of your home. This is your loan-to-value. No. With the Home Affordable Refinance Program, you can refinance with any participating HARP lender. Apply here online for a rate quote. I put down 20% when I bought to avoid paying mortgage insurance. Will I have to pay mortgage insurance now because of my HARP refinance? No, you won't. If your current home loan doesn't require private mortgage insurance, you won't have to start paying it on your new home loan. No, your private mortgage insurance payments will not increase. However, the "transfer" of your mortgage insurance policy may require extra steps. Remind your lender that you're paying PMI to help the refinance process move more smoothly. HARP refinances are limited to the lesser of 125% of the home's value, or the area's conforming loan limits. In most cities, the conforming loan limit is $417,000. However, there are some cities in which conforming loan limits are as high at $729,750. You can lookup your area's conforming loan limits by clicking here. No, only rate-and-term refinances are allowable according to the Home Affordable Refinance Program guidelines. Yes, you can refinance an investment/rental property with HARP, but only if the home was originally financed as an investment property. You can't HARP-refi a home that was originally a primary residence and is now considered a rental. Yes, you can refinance an second/vacation property with HARP, but only if the home was originally financed as an second/vacation property. You can't HARP-refi a home that was originally a primary residence and is now considered a second home. Can I consolidate mortgages with a Making Home Affordable refinance? No, you cannot consolidate multiple mortgages with the HARP refinance program. It's for first liens only. All subordinate/junior liens must be re-subordinated to the new first mortgage. Can I "roll up" my closing costs into a Making Home Affordable refinance? Yes, mortgage balances can be increased to cover closing costs in addition to other monies due at closing such as escrow reserves, accrued daily interest, and a small amount of cash. In no cases may loan sizes exceed 125% of the home's value, nor may they exceed the local conforming loan limits. No. Income verification is required in the HARP refinance program. Yes, with HARP, applicant income is verified in the same manner as with a traditional refinance -- via a combination of W-2s, pay stubs, tax returns and other, underwriter-requested documentation. Base mortgage rates for the HARP program are the same as for a "traditional" refinance. Loan-level pricing adjustments may apply. No, there is no minimum credit score requirement with the HARP refi program, per se. However, you must qualify for the mortgage based on traditional underwriting standards. Do I have to refinance my mortgage with my current mortgagee (sounds wrong buy when you take out a mortgage you are the mortgager and your "lender" is the mortgagee) servicer? "DU Refi Plus" is the brand name Fannie Mae assigned to its particular flavor of the HARP program. "DU" stands for Desktop Underwriter. It's a software program that simulates mortgage underwriting. "Refi Plus" is a gimmicky-sounding term that could have been anything. 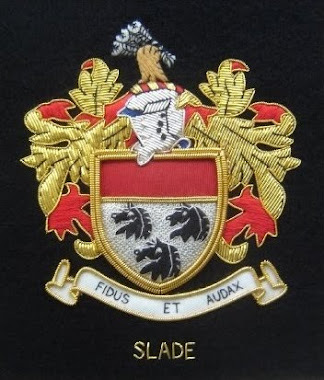 The name has been trademarked, however. As an aside, Freddie Mac is using the branded name "Relief Refinance". Can I remove my spouse or a co-signer with a HARP refinance? Maybe. HARP guidelines specifically prohibit removing a signer from the note, but there are circumstances in which you can remove a co-signer from the mortgage and from the deed so that the former co-signer has no ownership interest in the home. If that's not possible, to remove a spouse (or co-signed) from the mortgage, a traditional refinance is required. Lock for 45 days, at minimum. This is because the HARP program, while streamlined for simplicity, still has some grey areas that can lead to delay. It's better to have a rate lock that lasts too long than not long enough. How do I apply for the HARP program? If you're ready to apply, click here to generate an online quote. Or, if you have a specific HARP question, send me an email and I'll do my best to give a good reply. Lastly, don't forget! The Home Affordable Refinance Program is not meant to save a home from foreclosure. It's meant to give underwater homeowners a chance to refinance without paying PMI. If you need foreclosure help, call your current loan servicer immediately. If you are not eligible to refinance your home mortgage, then we would probably talk about your other options as there are primarily two: Short sale your home or allow it to foreclose. Foreclosure is the most severe and will impact your credit for a good 7 years according to most experts; whereas, a short sale will impact your credit for 2-3 years. So, if you are going through a rough spot and expect to get back on track and prefer to own a home and take advantage of the favorable tax incentives of ownership, you should push for a pre-approved short sale. If you are unemployed and have no prospects of landing a job and an significant accumulation of debt on top of your mortgage, i whole-heartedly recommend you consult with a bankruptcy attorney to explore your options. If you want to have a discreet conversation, please feel free to call me at 917.797.5059 as I am SFR-Short Sale and Foreclosure trained. CAN BE PURCHASED AT THE FRONT DESK! Hippies AND hipsters rejoice: 'coastal cool' hits town! True to its word, Alchemy Hour will be opening its doors and welcoming Maplewood to its stylish take on women’s fashion with global style and “boho, beachy, edgy” cool. The young owner, Janean Harvey, is eager to meet and greet fashion-forward ladies looking for a place to feel right at home. “I’m really nervous and excited about being here every day and interacting with people,” said Harvey, who’s spent the last few months honing the décor of the shop to match the unifying vision of the hand-picked pieces and vintage gracing the racks and displays. The Alchemy Hour boutique ‘look’ — like the boutique’s owner — is very much laid-back fashionista with a confident, grounded edge: Warm tones, dark wood and bohemian texture compliment the inviting space accented with artfully arranged vignettes. Accessories casually adorn cleverly chosen unusual display objects, quietly commanding attention. 17 Basis point drop in Mortgage Rates: here is what it means to you!  $27,051 in Home Savings! You can use Today’s Low Interest Rate to Buy a home $27,000 more expensive than 2 months ago for the same monthly payment! When the stock market recovers, interest rates will rise and you’ll lose this benefit.